jade is using Smore newsletters to spread the word online. And how did the U.S. contain it? 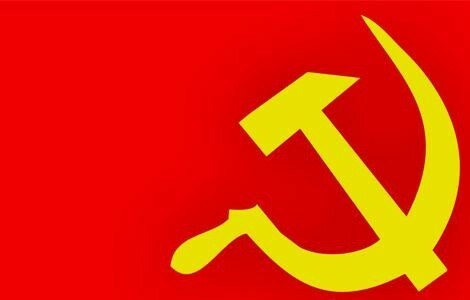 What is communism and how did it spread in China? Communism is the idea that everyone should be equal. There would be now more upper class or lower class. Everyone should have the same pay, same house, same everything. But the catch is that the people don't own anything of their own. The government owns everything and the people have to share it. In theory, communism sounds like a well thought out, proficient idea, but it just doesn't seem to work in many societies.And in most cases communist governments end in dictatorships which is the opposite of what communism is really about. So how did communism spread in China? Mao Zedong was the person who sparked communism is China. Mao was the leader of the communist Red Army. And he was a member and later became the leader of the CCP (Chinese Communist Party). 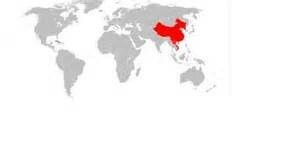 He also lead the following events that helped to establish communism in China. In 1934, a nationalist party leader named Chiang Kai Shek and his 700,000 troops forced Mao Zedong and his Red Army out of southern China. So Mao and his troops marched 6,000 miles to get away. Throughout the march he gained many followers and supporters of communism. This helped to spread the idea of communism and Mao Zedong's leadership across China. 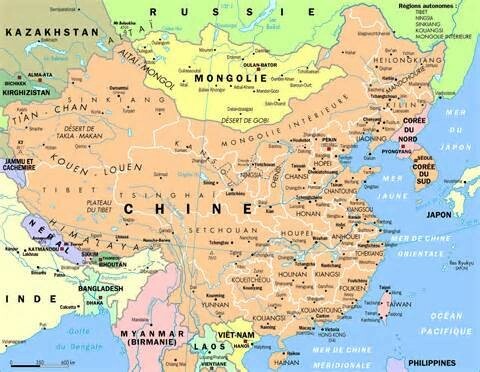 Later on October 1st, 1949, communism was established in China. Mao Zedong became the chairman of the people's republic of China. This was now the country with the most communist supporters in the world. Now that Mao Zedong had control over a communist China, he could rule it however he wanted to. In 1958, Mao Zedong decided that he wanted China to become more of a world power. He did so by making China more industrialized. So he made the farmers become factory and steel workers, which created a major shortage of food that was needed to feed the population. This event lead many people to question Mao's leadership. Then in 1966, Mao created the cultural revolution. He already changed China by bringing communism into the society, but now he was going to change their culture,customs and overall way of life, because he had the power to. He wanted people to forget about their old ways and to ignore foreign influences, and embrace the new communist ideals and his leadership. He banned religions, self expression, art, and if anyone disobeyed the government they were to be punished. During this time, many forms of propaganda were used to ''encourage'' the people to embrace the cultural revolution and communism. And Mao also had high school students to form Red Guards and enforce the cultural revolution. This time was basically when the people were forced to get on board with communism and support Mao Zedong. Lastly there was the Tienanmen Square protests and massacre of 1989. This was when pro-democratic protesters gathered at Tienanmen Square. Many people were in the square holding signs of protest,and chanting for the end of communism in China, and the start of a new democratic government. The people stayed and protested for many weeks, until one day on June 4th, Chinese troops stormed the square with tanks, turmoil and guns. Hundreds of the protesters were killed and thousands were arrested. This was an important event because it tells us that even though Mao Zedong had control over China and it's people and it seems like everyone was happy with this new communist government, that not everyone was. Some, in fact many people wanted a democracy and were willing to risk their lives trying to get it. After WWII, Korea was divided into North Korea and South Korea at the 38th parallel. The United States was afraid that if Korea became communist then it would spread to other countries as well. This war is known as a see-saw war because neither side gained or lost much land during the duration of the war, it just kept going back and forth. On June 25,1950 North Korea invaded South Korea, trying to unite all of Korea under communist rule. Then in September the U.S. and south Korea gained control over Inchon, this helped them to gain control over Seoul. And later that year China stepped in to help North Korea in the war. From January 4,1951 to June 1951, nothing was really gained on either side because,again, it kept going back and forth. So on July 27,1953, there was an agreement signed that continued the division of Korea at the 38th parallel. 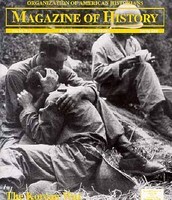 The war then ended in a stalemate because neither side gained much in territory, and in 1953 there was an armistice to end the war. The U.S. was successful in containing communism in Korea, because they managed to keep it in the North. 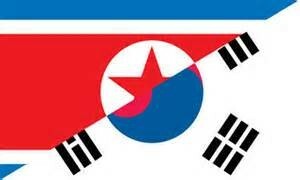 Today only North Korea is communist and South Korea is a successful and prosperous democracy. 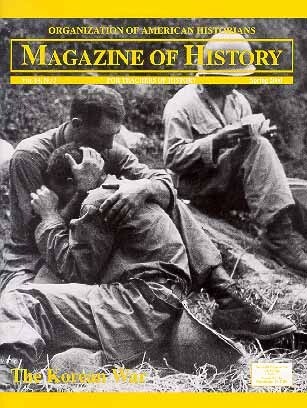 The Vietnam War was between the U.S. and Vietnam. 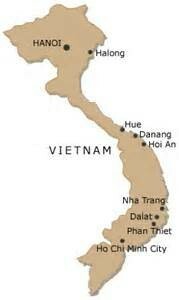 Vietnam was divided at the 17th parallel and the North was run by Ho Chi Minh and his communist forces. The U.S. wanted to prevent communism from spreading to South Vietnam as well. 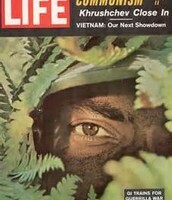 The problem was that not all of the people in south Vietnam were against communism. 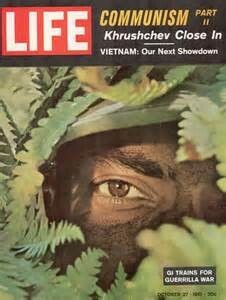 There was a group of communist followers in south Vietnam called the Viet Cong who were trying to untie all of Vietnam under communism. And then one day North Vietnam attacked U.S. navy ships at the gulf of Tankin, so that is why the U.S. sent troops over to Vietnam. Even though the U.S. is a major world power, with a skilled and trained army, North Vietnam used guerrilla war tactics and the more the U.S. bombed the countryside the more the people sided with the Viet Cing, which is why the U.S. had to recede from Vietnam during the war. 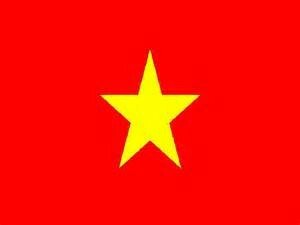 Lastly in 1976, North Vietnam and South Vietnam untied to form the socialist republic of Vietnam, and they are a communist country today. So although containment of communism in Vietnam wasn't successful, it did effect how other countries approached communism in fear of war with the U.S. 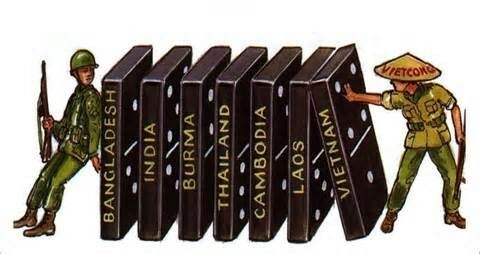 The U.S. got involved in Korea and Vietnam because they were afraid of the domino theory. The domino theory is the theory that if one powerful country becomes communist then it will spread to other countries and it will keep on going and going. The U.S. didn't want communism to spread to the U.S./abroad, so that is why they started trying to contain communism in the Korean and Vietnam War. Containing communism, was it a success? In my opinion containment of communism was a success. But it also really depends on how you view containment. To me containment means to keep in trapped in one specific area. So for that reason I think it was successful because the U.S. managed to keep communism in North Korea and prevent it from spreading to South Korea. For Example from an article we read in class'' South Korea has become a prosperous country embracing democratic ideals.'' 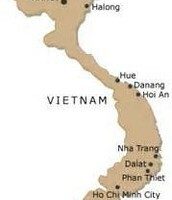 And even though Vietnam became communist, it stayed in that one specific area and didn't spread much further. And before the U.S. efforts of containing communism there were 23 communist countries but today there are only five. And most of those five countries are all in the same area of the world.